She's a grand old flag indeed. It's a little funny we call her that considering she's been changed around here and there quite a few times, and is younger than a ton of other flags out there. She's always been there to blanket you in freedom and democracy. We feel like everybody before us has basically been patching her together this whole time like some quilt until it was finally passed down to us. Now it's our turn to carry it with pride, because it's not just a flag but a representation of everything we hold dear and traditional. It's only natural we should be there to keep it waving high in the sky. 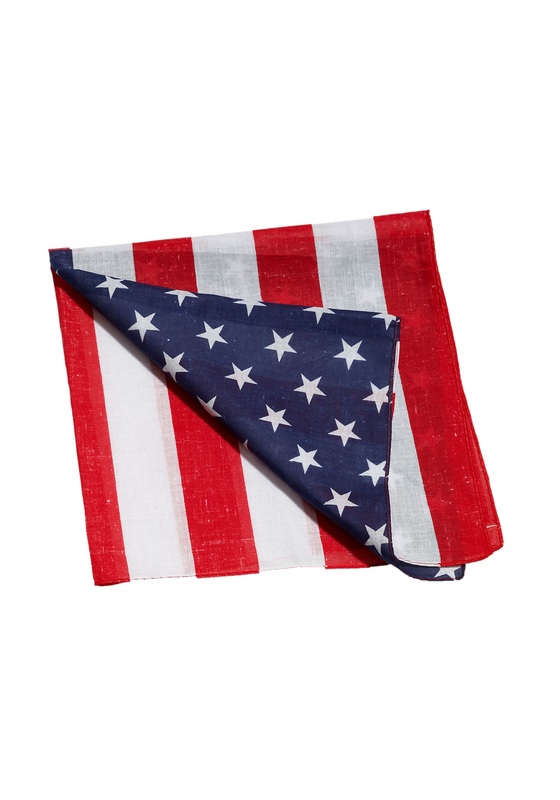 Proudly show off your patriotism with this fantastic American Flag bandana. It can keep your head cool and out of the sun or you can wave it around during the fourth of July parade or fireworks display. It's a perfect accessory to add to any outfit in any way you want.